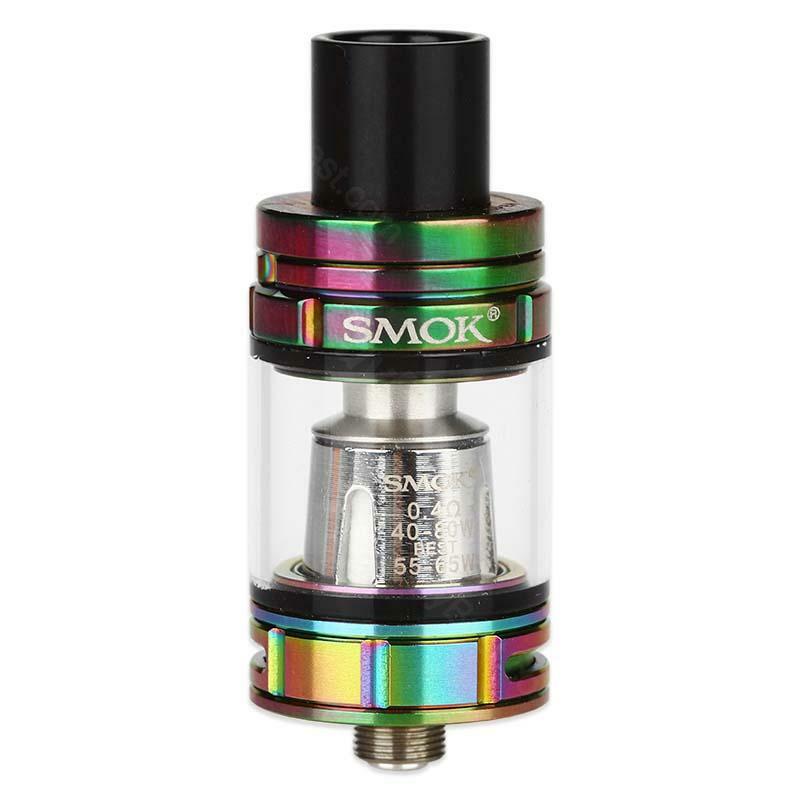 SMOK TFV8 BABY Beast Tank Atomizer is a little small size from TFV8 design, which features with Re-designed bottom pair air-slots, air chamber and drip tip, to help you get pure flavor. You can select from 9 colors. SMOK TFV8 BABY Beast Tank Atomizer is a little small size from TFV8 design, which comes with new Turbo engines: the Pre-installed V8 Baby-Q2 core, a replacement V8 Baby-T8 core, and V8 baby RBA. You can rotate the bottom adjustable airflow system to get pure flavor. It will include a replacement glass tube, so you can switch it between 2ml capacity and 3ml capacity. This device also features with Re-designed bottom pair air-slots, air chamber, and drip tip, and those special designs will help you control the airflow perfectly. It is no doubt that the TFV8 BABY is the best choice for those baby tank fans. Here are 9 colors for your options. • Firstly, screw the drip tip and top cap off the tank; then screw the atomizer core off the base part, and replace with a new one. • Control air input: Rotate the bottom adjustable airflow system to control air input. • If you want to change it to an RBA Tank, please operate it with TFV8 Baby Tank Extension Pack. • You can buy replacement TFV8 Baby Glass Tube (3ml, not for 2ml). • You can buy Baby-T8 Octuple Core, Baby-T6 Sextuple Core, Baby-X4 Quadruple Core, Baby-Q2 Dual Core and Baby RBA Coil. Es un puto cohete con lo pequeño que es. Bravo!! nach langem suchen kam ich auf SMOK TFV8 BABY Beaste. Hier stimmt alles. Gute Verdampfung. Vor allem als Raucher habe ich es damit erst einmal geschafft von der "Kippe" weg zu kommem. 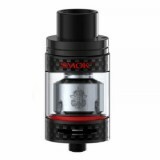 SMOK TFV8 BABY Beast Tank Atomizer works like a dream for my vape. It's well constructed and surprising roomy.